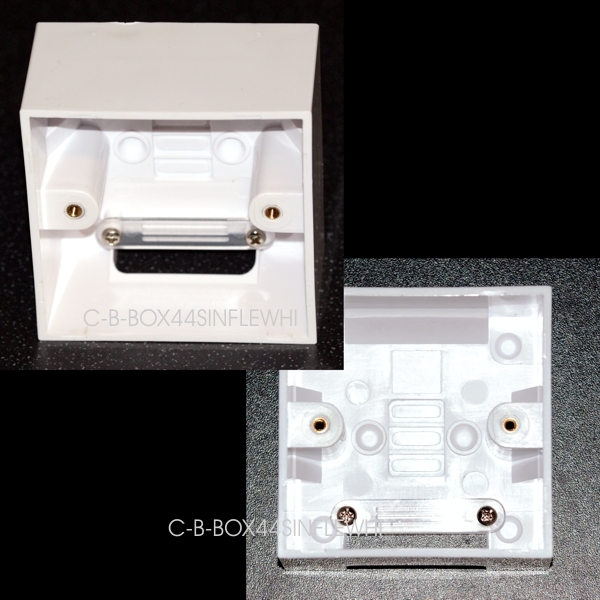 Flexible plastic box with cable clamp and cutout to one side for cable access. Designed specifically for AV installations. Not suitable for mains applications as no earthing point and large aperture for cable access. External Dimensions 85 x 85 x 47mm. Maximum connector size 15 x 39mm.